Aussie, Aussie, Aussie! The Australian Open started yesterday/last night (because of the big difference in time) and aside from a few minor upsets thus far (Sloane Stephens, Caroline Wozniacki, Andrea Petkovic, Benoit Paire, Ivo Karlovic, Anna Schiedlova) there wasn’t tons of to talk about. Only one of those upsets was Top 16 (Wozniacki) and the two men’s losses were the only slightly surprising upsets of the seeded players. So we are gonna talk about who some guys to keep an eye on. There are others with a good chance to win. But it’s nice to look everybody. And if it’s any consolation, I’ve seen all of these players in action so my opinion isn’t merely based on watching YouTube videos. Novak Djokovic. He’s in great shape once again and he really has something to play for. The opportunity for a Golden Slam is something only Steffi Graf has accomplished (in 1988) and could realistically be within reach. Novak is the best mover with the best return game and one of the best ground games (we’ll say Top 5) along with a serve (say Top 10ish) in the world. Traditionally the toughest slam to win coming right out of the gates, Djoker has won 5 of them (including last year’s). Roger Federer. With no more than a few counterpunchers to get through, with regards to seeded players (Goffin, Thiem, Dimitrov), Roger has a good looking route to the quarters. Who he plays in the quarters may be his toughest matchup, but he has not shown signs of slowing down. Last year was a nice comeback after showing he was human the year before. Relying less on his power and fluidity, Fed has managed to stay relevant due to his unmatched tactics and point construction. His net play may be better than several doubles mainstays when at his best. David Ferrer. While pedigree wouldn’t suggest Ferrer as a surprise (career-high ranking of 4), he’s on the downside of a great career. The Spaniard’s game is predicated upon hustle and consistency. You’ve got to beat Ferrer to win because he won’t beat himself. He’s not going to overpower you from anywhere on the court but his ability to cover the court is only bested by a handful of players. Plus his draw looks like it may open up early on. Playing an Aussie in the second round may be tough due to the crowd, but beyond that he’s got a lot of guys that will beat up on each other. The Americans (Johnson and Isner) will either be surpass expectations of fall flat and Andy Murray is my pick for a surprise loss early on. Jo Wilfried Tsonga. Only a handful of tennis players might excel at the big 4 sports if ever trying to cross over and it’s because of this athleticism that Tsonga is able to weather iffy performances as he rounds into his normal self as the tournament progresses. Even though he’s an old man in the sport (30 years old) so are many of his top-ranked peers and he can bounce around the court with the best of them. His first Aussie Open title isn’t out of the question. Kevin Anderson. It’s a tossup between him and Milos Raonic. The depth of their quarter (with Wawrinka and Nadal) will make for some surprises one way or another, but Anderson’s play has steadily improved over his years as a pro since coming from the NCAA ranks (Illinois). He’s big, surprisingly agile and can really hit the ball from the baseline. Marin Cilic. He’s won a grand slam and he’s in a part of the draw that may play to his strengths. Tomas Berdych is a round of 16 opponent and Borna Coric would be a second rounder (which would be VERY tough), but he’s got the game to win through. If he’s truly healthy, there’s no telling how far the guy could advance. 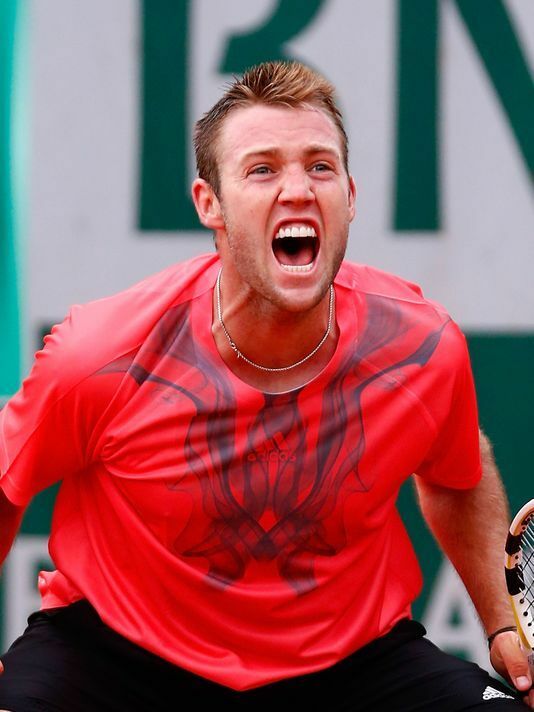 Jack Sock. The young American had a very impressive 2015 campaign. He’s got a tough draw (with Raonic and Wawrinka) but the heat plays to his game and the kid can bring it. Heavy strokes and a willingness to run around every backhand while hitting huge serves could wear down opponents. Sock has the potential to surprise some folks. It may be a tough road, but he may be the best equipped out of his section to weather the elements. Serena Williams. She’s a top 2 or 3 player in the history of the game (don’t tell me there’s no one even close, because there definitely is). But she’s not 100% and after narrowly losing a Serena Slam it’s not certain whether she has the desire to replicate her performance. Desire will be the big question this year and who knows how much she wants to continue to play. If Williams wants it, there’s no doubt she can get it. Just not sure the timing is right for a run at the title. The better question is, if not Serena then who else? Belinda Bencic. This might be asking a lot of the teenager, but her play last year suggests that she can sustain successive tough matches to reach the pinnacle of the early season. It may be too much to assume that Bencic can beat Serena, Sharapova, and Kuznetsova merely to get to the quarterfinals. Victoria Azarenka. If she can avoid grunting too much (and that won’t happen) then she won’t be so annoying on her way to the finals. Don’t get me wrong, there are tons of obstacles, but at her best there’s really no one that should challenge her. Angelique Kerber can really hit the ball but she’s just never been consistent enough. Americans Coco Vandeweghe and Madison Brengle face off in the first round and have the game to win this part of the section but aren’t expected to make a push until the Summer hard court season. 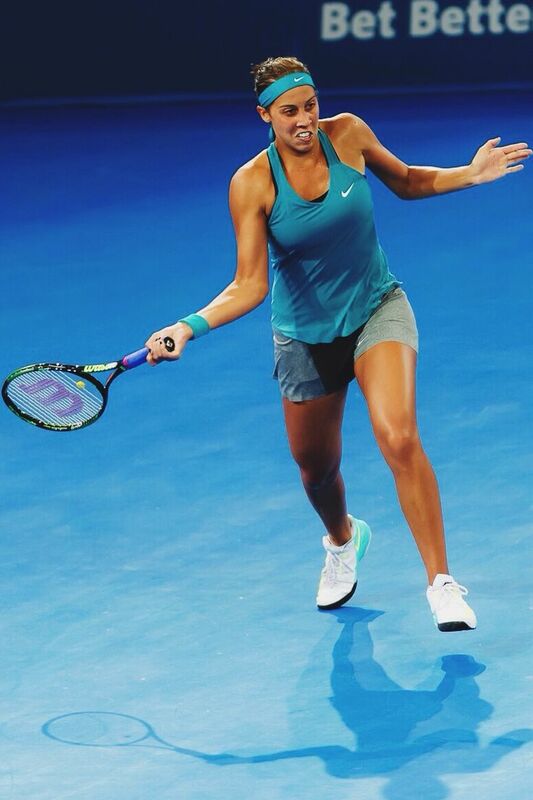 Madison Keys. One American with a legitimate chance to come through in this half of the draw (save a dramatic effort from Venus Williams) is Keys. The 15-seed played the best tennis of career in 2015 and has can really improve that number if she draw with predominately Eastern Europeans (most notably Simona Halep and Ana Ivanovic). Ana Konjuh. The former junior champion would have to pull a huge upset over Serena in a potential 3rd round matchup but after a tough 1st-rounder there’s little doubt that she can fight. The talent is there to rise up the rankings, but with a big win or two the draw can open up big-time for this youngster. Roberta Vinci. Already aided by a loss from Sloane Stephens, Vinci has a pretty clear path to a potential round of 16 tilt with Agnieska Radwanska. If she can play through the tough conditions and her other entries (as a top doubles player) then it’s likely she can get through. A steady approach and great hands will be key in her potential results. A little bit of experience getting some big wins could provide the boost necessary to come through in the clutch. Besides, there are few other players you would want to win more just based solely on her attitude and appreciation for the game and all it entails. Carla Suarez Navarro. Long a force on the tour, the Spaniard has the big game ability to win a grand slam. While the draw will inevitably toughen the deeper she goes, fellow Top-10 seed and potential round of 16 opponent, Petra Kvitova, has a tougher early round draw with chance she faces Kristina Mladenovic and/or Nicole Gibbs.